HORZE - This durable metal comb is ready to battle the toughest of tangles. 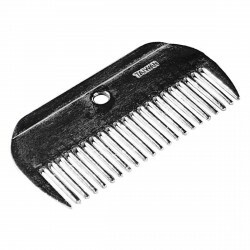 This durable metal comb is ready to battle the toughest of tangles. This little comb is perfect for use on the mane and tail.